Skiing in Whistler, Devouring Scones and Clotted Cream in Grantchester, Savouring Risotto with White Wine in Margaret River, Tasting Toro and Uni in Tsukiji Fish Market, Roller Blading in East Coast Park, Drinking Champagne in Paris - these are a few of my favourite things... but my favouritest activity of all, is spending time with the dearest people in my life. The one thing you just cannot get in Sydney is Chwee Kueh. No way. Dim Sum (they call it Yum Cha there) yes, Curry and Prata yes, even chicken rice and char kway teow yes. 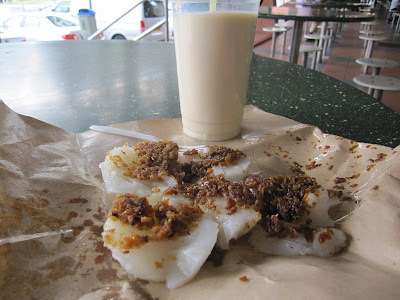 But not my all-time favourite breakfast food - chwee kueh. 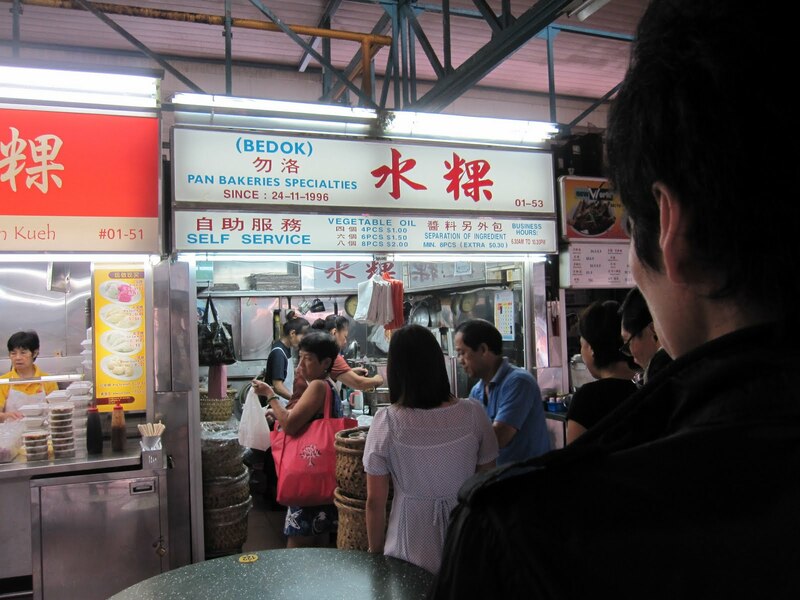 So one rainy morning, I made my way to Bedok Interchange Hawker Centre for breakfast. Some say the best chwee kueh is at Tiong Bahru. Lies, I tell you. The best food is found right here in the East. There are 2 stalls selling chwee kueh here. And in the interest of giving you my dear readers the latest scoop on the best chwee kueh in town, I tried both stalls. It's not because I am a glutton. Stop sniggering. I hear you still doing it, DS. 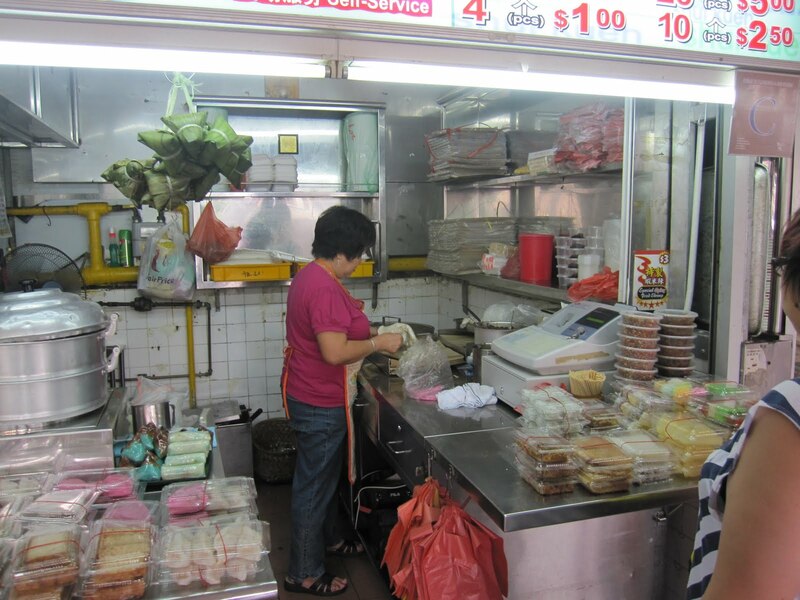 This is Bedok Chwee Kueh, it is the stall that faces the interchange. The queue is significantly longer here, but it moves quickly. 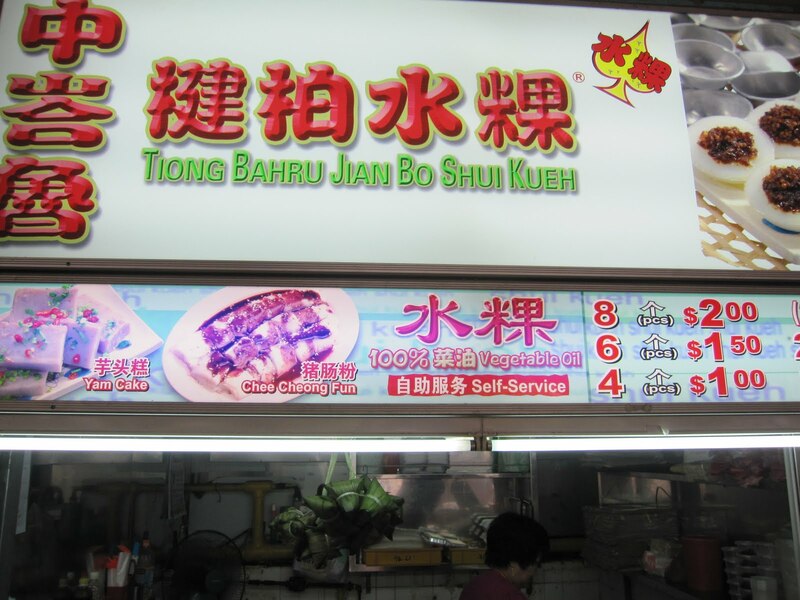 This is a branch of the famous tiong bahru chwee kueh. No queue, except that there was a lady in front of me. And now we begin the taste test. 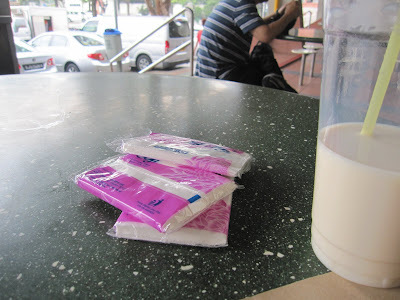 The chwee kueh from the bedok stall. 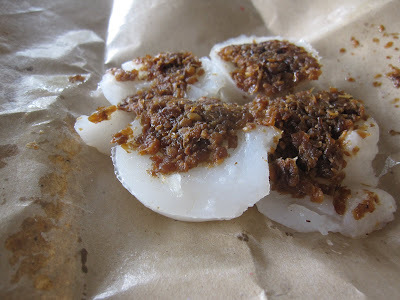 The kueh was soft and wobbly and very good. 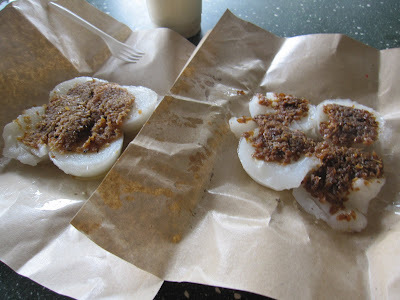 The chai poh (preserved vegetable) on it was spread in the middle, but there was a good ratio of chai poh to chwee kueh. The chai poh here is clearly the star. It was fragrant, slightly oily, and mixed with white and black sesame seeds, which released a distinct nutty sweet and salty aroma. It was delicious. The chwee kueh from Tiong Bahru. 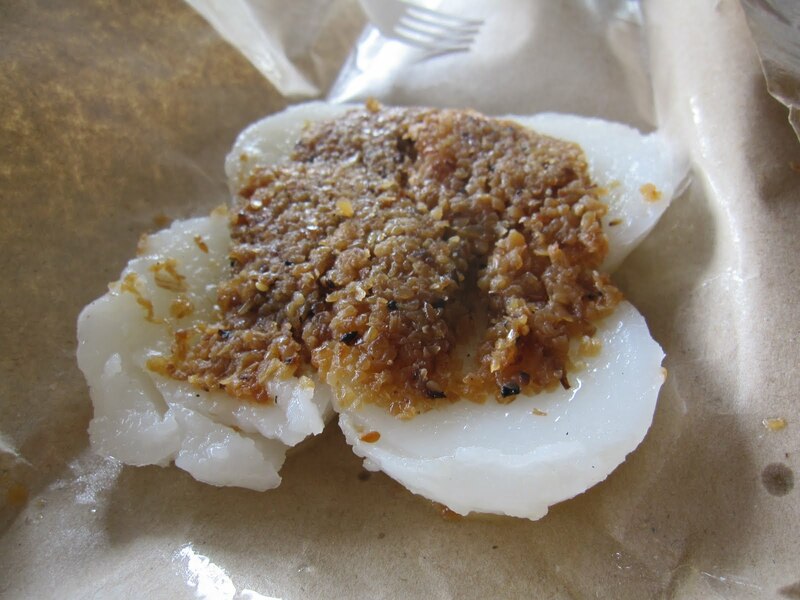 The kueh was comparable to the one above. 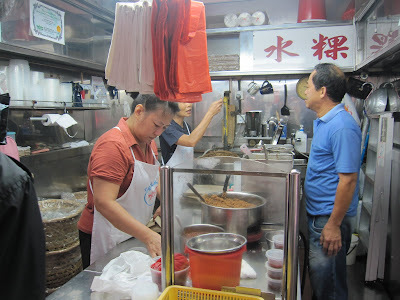 The chai poh was meticulously portioned out on each kueh. The ratio was right. The chai poh, although very good, did not impress me. 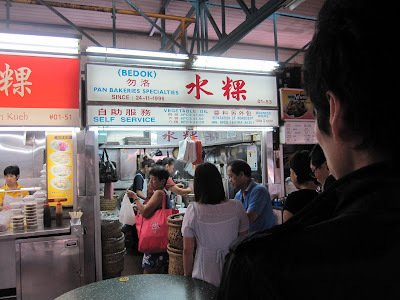 It just did not have the oomph and fragrance of the chwee keuh from bedok, and it also did not have that nutty bite. It was also slightly oily. With a warm cup of soya bean milk... it was a comforting breakfast. 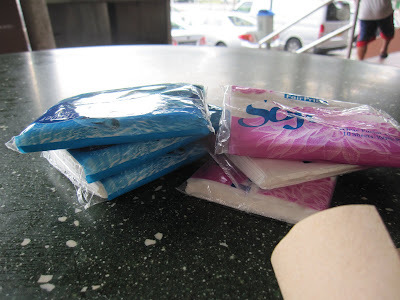 The thing about eating at hawker centres is that these old people will approach you to buy tissue paper? And while I hear a lot of criticism about funding this trend because they could be from syndicates and whatnot, i just find myself unable to refuse. It seems so callous, especially when the sellers are so old and they look like they should be staying at home. And I really find that I am very blessed in so many ways... so it's just one way for me to share my blessings. But, sometimes, they spread the word and I get a few sellers all converging on me. about. Now i'm very happy I came across this in my hunt for something relating to this. A busy professional with 2 little ones, who finds joy in cooking, eating and spending time with loved ones.